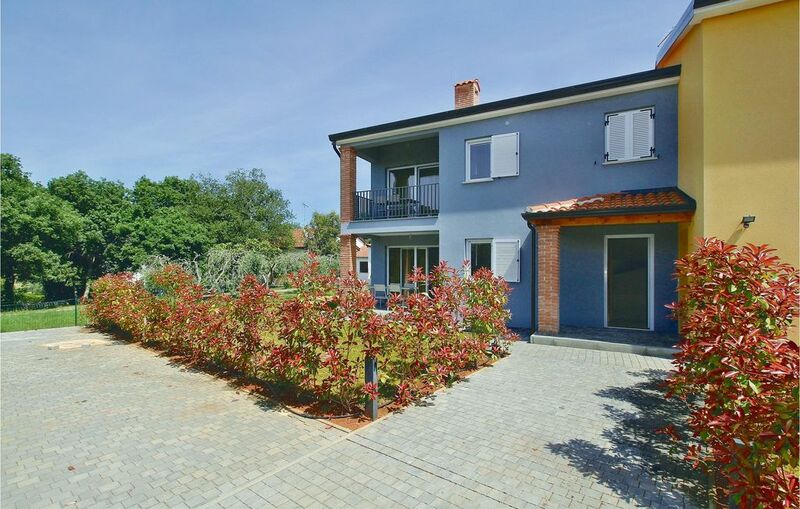 These attractive holiday apartments are situated in a rural position, close to the tourist resort of Poreč. The apartment CIE708 is located on the ground floor and has the garden while the holiday apartment CIE709 is located at the first floor and has a covered terrace. In a 20 minutes walk you can reach the nearest beaches of Meterada. Also there are restaurants and small shops nearby the holiday homes, which are placed close to the local road. Experience special water fun in the Aqua Park and visit the ancient sites in the surrounding romantic coastal towns.